The answer is yes! 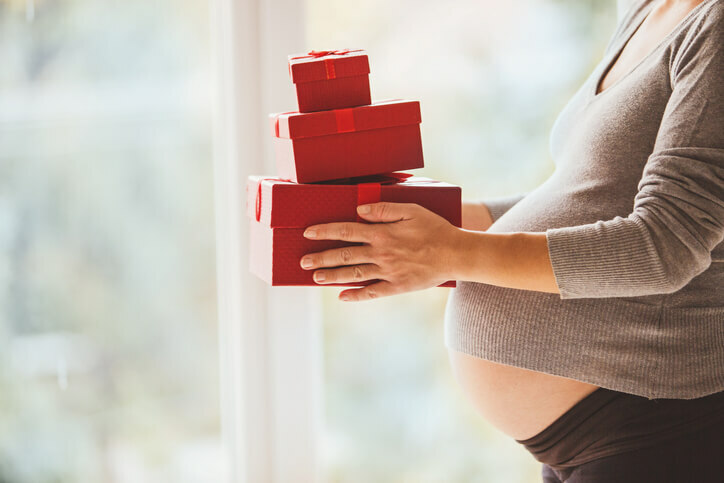 It’s common for intended parents to gift their surrogate something upon the delivery of their child, just as she is giving them a perfect, healthy child. A gift can be a wonderful way to show appreciation and further express to a surrogate just how much she means to the intended parents. But, there are a few things to keep in mind while selecting a gift for a surrogate. Perhaps the most important is surrogate compensation laws. Many states have regulations on what kind of compensation a surrogate receives for her services, and gifts can be counted among this “compensation,” even if they are worth more emotionally than financially. Before giving a gift to your surrogate, reach out to your surrogacy specialist. She can explain which gifts are appropriate in your situation and even help you pick out one that best expresses your feelings. For more information about this topic, feel free to call 1-800-875-BABY(2229). Below, you’ll find a few ideas to help you find the best gift for your surrogate. Not all surrogacy gifts have to come after the baby is delivered. In fact, showing your surrogate your appreciation while she is still pregnant will mean a lot to her. Once you have approval from your surrogacy specialist to do so, don’t be afraid to send your surrogate treats to make her pregnancy a little better. Consider things like spa kits, meal delivery services, movie tickets for a night out and more. She is expending a lot of energy while she grows your little baby, so give her the chance to take some time off and look after herself for a little bit. Many intended parents with to give their surrogate a gift after the baby is born, and this can be a great time to do so. Remember, your surrogate is likely receiving surrogate compensation already, so giving money or other kind of financial gifts is often not necessary — and may even go against your state’s surrogacy laws and your personal surrogacy contract. To avoid these complications, you can gift her something a bit more special. Consider a handmade gift for your surrogate, like a painting, a blanket or some yummy treats to enjoy. The effort that you put into making these kinds of gifts will often mean much more than anything you could have bought her, which makes them the perfect gift for intended parents to pass along to their surrogate. Childbirth is a massive endeavor, and your surrogate will likely need weeks to recover from her experience. Therefore, even after the surrogacy process is finished, she will continue sacrificing her time and body to making your parenthood dreams come true. You can make her recovery process a little easier with a gift that helps her heal and relax from her delivery process. You might create a personalized spa basket, with lotions, bath bombs and more to help her unwind from the stress of delivery and getting back to her everyday responsibilities. Your surrogate isn’t the only one who has been giving up time and energy for your surrogacy; her family will have been doing so, as well. They may have had to postpone family vacations, give up some normal everyday activities and more to keep her safe and healthy during her pregnancy. So, when you’re giving your surrogate a post-delivery gift, don’t forget about her family, too. Perhaps get small gifts (like stuffed animals or toys) for young children and put together a “date night in a basket” gift for herself and her spouse. If your surrogacy specialist allows it, you might even consider creating a gift like a day at the zoo for the whole family to enjoy once your surrogate has recovered. Remember that surrogacy is a life-changing journey that your surrogate will remember for years to come. Many intended parents choose to celebrate that journey and their new friendship with a gift commemorating this experience. You may give her a copy of the surrogacy memory book you’ve created for your child, a beautiful framed photo of you all, or a simple necklace or figurine representing motherhood and friendship. These can be some of the most beautiful gifts that surrogates receive and ones she will treasure forever. Remember, whatever you decide to give your surrogate should always be up to you and always come from the heart. You do not need to get a surrogate something from every category above; talk with your surrogacy specialist to find out what she recommends and what is best in your situation before buying anything for your surrogate.